Higashiyama is a very large district of the city of Kyoto. This page is dedicated to the southern area of Higashiyama. For the more famous main area of this district, where the famous Kiyomizudera and other important spots are located, see this page. The two main attractions of the southern part of the vast Higashiyama district are virtually facing one another, we are talking about the temple Sanjusangendo and the Kyoto National Museum. 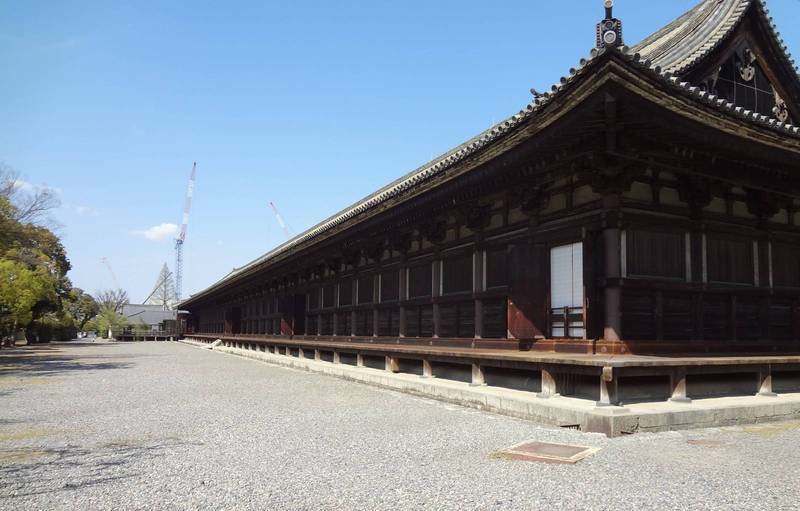 This temple is famous for what is kept inside, in the vast hall of the temple, which is also the longest wooden building of Japan (120 meters long). 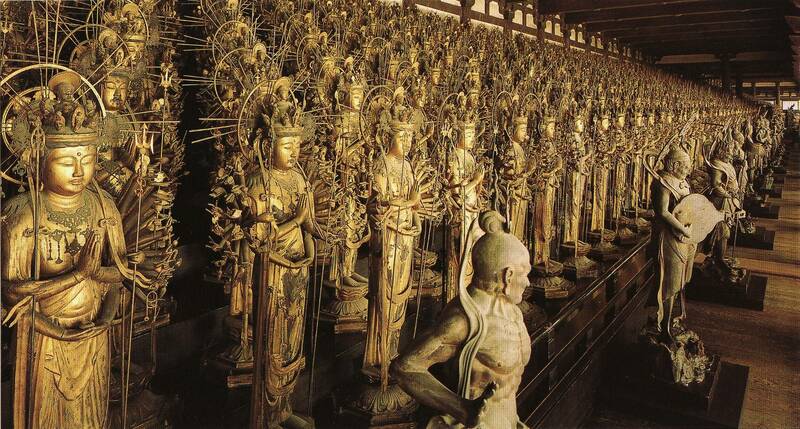 Inside this building you can see a collection of 1001 wooden statues made of Japanese cypress wood, carved between the twelfth and thirteenth centuries, depicting the Buddhist deity Kannon. At the center of the building there is a main larger statue, surrounded by 500 smaller statues on its right and another 500 on its left. A view like this is the only one of its kind in Kyoto and it's really impressive, recommended visit. 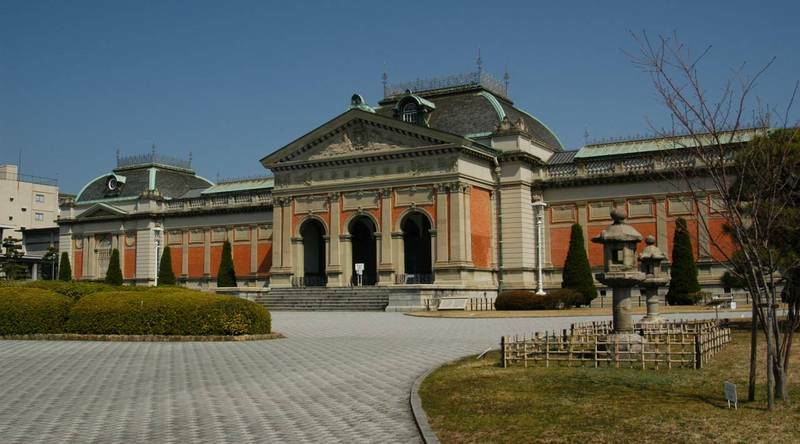 One of the four "national museums" of Japan, houses an extensive collection of art and archeology of pre-modern Japan and temporary exhibitions that vary widely throughout the year. More information on the official website. Other attractions of the area are two almost unknown shinto shrines, Shinhiyoshi Jingū e Toyokuni, nothing special to say about them. All the places mentioned on this page are close to each other, at a distance ranging from 1.5 and 2 km east of Kyoto station. The nearest railway station is Shichijo station along the Keihan Main Line. By the way, from Kyoto station is easier to take a bus (lines #100, #206 o #208) which stops just in front of the Sanjusangendo (Hakubutsukan-Sanjusangendo-mae bus stop).